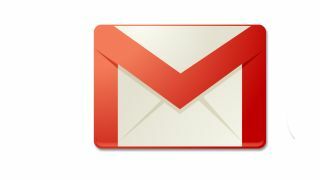 Google launched Gmail 4.2.1 for Android Monday, rolling out a bunch of features that really take the application to another level. For starters, the update has an "auto-fit" option that automatically resizes messages to fit the screen, while Gmailers can also pinch to zoom for a closer look. Archiving and deleting messages is as easy as a brushing a finger along the screen. Swiping either left or right archives emails straight from the Inbox, while changing the option in the "Swiping conversation list" turns the motion into a delete command. As for image improvements, 4.2.1 provides thumbnails of photo attachments users can view directly in the message. When an image is tapped, a photo gallery pops up that users can browse through for individual image viewing. As if all that wasn't enough, Google has finally added the ability to attach phone-captured videos to messages. The update is only available to devices with Android 4.0: Ice Cream Sandwich and higher, and is currently ready for install through Google Play. Based on user feedback thus far, version 4.2.1 hits all the right notes...though not, as of yet, one that sings iOS.